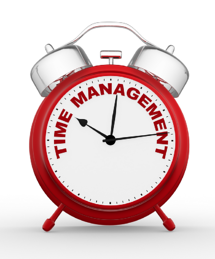 How can you manage your time while taking the GMAT? I often get asked this question. For most people, the Quantitative and Integrated Reasoning questions pose the most significant time pressures, so in this post I will be focusing on those two sections. Perhaps surprisingly, my number one piece of advice is usually to worry less about time. I consistently see people make small mistakes when they get stressed about time and start trying to rush their work. If you do this throughout the entire test, you are likely to get more questions incorrect than you would if you go more slowly and don’t make it to the last few questions. It is more important to take your time and try to get all the questions you answer right than it is to answer every question. That being said, there are still a number of techniques – from guessing strategically to plugging in the answers – that can help you save time without feeling rushed. First of all, be aware of how much time you have. The Quantitative section has 37 questions, which you are given 75 minutes to complete. This means that you have about 2 minutes per question. The Integrated Reasoning section has 12 questions, which you are given 30 minutes to answer. This means you have 2 ½ minutes per question – not a lot of time, considering that most questions have 3-4 parts. In the Integrated Reasoning section, rushing can be especially detrimental to your performance, because if you get just one part of a question wrong, you will miss the entire question. On many standardized tests, the best time management strategy is to skip questions that confuse you and then return to them later if you have time. 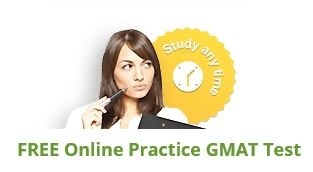 Unfortunately, that technique does not work on the GMAT, because you are not allowed to skip around and answer the questions out of order. Therefore, you must be able to quickly determine whether you can solve a problem or not so you can move on if necessary. If you encounter a problem you have no idea how to solve, guess and then move on to the next problem immediately. You do not want to waste valuable test time stressing over a problem that you cannot solve. If the problem seems difficult, but you do have an idea of how to solve it, try it. It is okay if you spend a little more than 2 minutes on a math problem (or 2 ½ minutes, for Integrated Reasoning). Some questions may take less than 2 minutes to solve, and the questions you quickly guess on will also give you a little bit of extra time. However, if you are still struggling when you hit the 2-minute mark and you are nowhere close to finding the answer, it is probably a good time to guess and move on. When you do have to guess, using strategic guessing techniques (as opposed to random selection) can help increase your chances of getting questions right. Watch out for trap answers; wrong answers are carefully chosen based on mistakes that GMAT test takers expect you to make. When guessing, use estimation and critical thinking to your advantage. For instance, let’s say a problem involves combining two mixtures – one solution that is 1/4 bleach and 3/4 water and another that is 1/3 bleach and 2/3 water. The bleach content in the resulting solution will be between 1/4 and 1/3 of the total volume. Knowing this will probably help you eliminate many, if not all, of the wrong answers, increasing your chances of getting the question right. As GMAT Mantra states, sometimes, instead of seeking the correct option, eliminate the wrong to arrive at the right. Another important guessing strategy is to watch out for questions that begin with the phrase “Which of the following…?” The answers to these questions are almost always D or E. For instance, a sample question might read “Which of the following cannot be equal to X when Y≠0?” This is because the test writers want you to spend time working through all the wrong answers before you finally reach the correct one. The Two-Part Analysis questions in the Integrated Reasoning section often follow a similar pattern. For example, if you have a column of possible X values on the left and a column of possible Y values on the right, the correct X value is almost always one of the last two choices in its column. The correct Y value is usually the first or second choice. Knowing this, you can save time either by working through the X values backwards (starting from the bottom) or by plugging in possible Y values first. All these techniques can help you save time on test day, but the most helpful strategy for learning to manage your time on the GMAT is to take a lot of timed practice tests before test day. When you are prepared, you will manage your time more effectively – and you will feel less stressed about time on test day! If you're interested in hearing more GMAT tips like these from our Director of Online Tutoring during our free GMAT skills webinar, click here to learn more and sign up.